Just off of Route 7 is Celadon City. 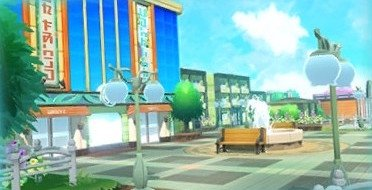 Not only is Celadon City the home to the next Pokemon Gym, it also contains the Department Store where you can buy loads of Items. The next Move Tutor is found in the Celadon City Pokemon Center, as well as Madam Celadon herself. Once entering Celadon City, the goal will be to stop Team Rocket. Going off of what you heard from Jessie & James in Lavender Town, head to the Game Corner. Here, you will find the secret passage to the Rocket Hideout by defeating a Team Rocket Grunt. After defeating the Elite Four and starting the Master Trainers Challenge, you will find a number of Master Trainers within Celadon City. In total, there will be eleven Master Trainers to defeat. On top of this, you will also finally be able to battle Coach Trainer Morimoto.